Every now and then your website needs a refresh. A redesign can be a huge success, or it could fail terribly. It's a long and tedious process. That's where this checklist comes into play. Checklists can make your job a whole lot easier. Whether you're working with an agency or redesigning in-house, this checklist will save you from some headaches. This is your guide to improving your website. Complete the form on the right to get your free copy. 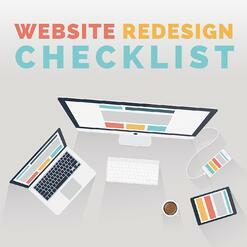 Download the Website Redesign Checklist NOW!